An ex-works 1953 Ferrari 625 Targa Florio two-seat spider raced by Mike Hawthorn and Umberto Maglioli will be on offer at the Bonhams Monaco 2018 sale. A rare ex-works, ex-Mike Hawthorn, ex-Umberto Maglioli, ex-Luis Milan 1953 Ferrari 625 Targa Florio two-seat spider by Carrozzeria Vignale will join the growing list of classic racing cars on offer at the Bonhams Les Grandes Marques du Monde à Monaco sale in May 2018. The Ferrari comes with an estimate of €4,500,000-6,500,000. Bonhams Les Grandes Marques à Monaco classic car sales are held every second year during the historic grand prix racing weekend. In 2018, the Bonhams sale will take place on May 11 in Monte Carlo. At the Bonhams Monaco 2016 sale the top result was €7,245,000 for a 1953 Jaguar XK120C ‘C-Type’ Sport-racing Two Seater Roadster. 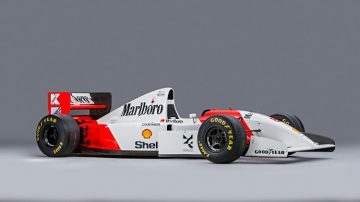 The more surprising result was €1,059,000 paid for the 1991-92 Benetton Ford Formula 1 car that Nelson Piquet drove his final race in and Michael Schumacher drove to his first ever podium finish. The estimate was only €220,000 – €280,000. 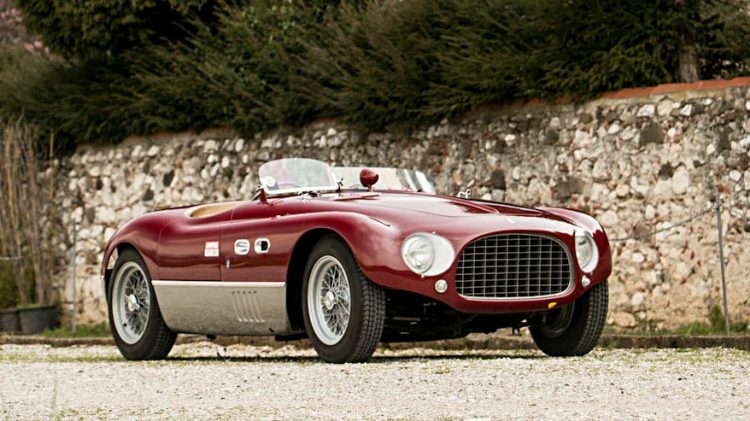 The ex-works, ex-Mike Hawthorn, ex-Umberto Maglioli, ex-Luis Milan 1953 Ferrari 625 Targa Florio two-seat spider by Carrozzeria Vignale, estimate €4,500,000-6,500,000 ($5,560,000-8,000,000), is the top car thus far announced for the Bonhams Monaco 2018 sale. The 1953 Ferrari 625 Targa Florio, chassis 0304 TF, is one of only three of the 2.5-liter, 4-cylinder twin-overhead camshaft 625 Targa Florio cars to have been built. 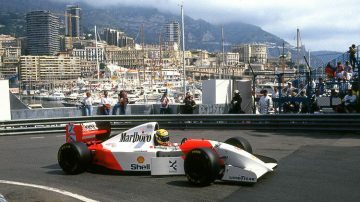 Its debut was at the final practice session for the Grand Prix dell’Autodromo at Monza, an appearance that was slightly delayed due to the fact that its allotted driver, the legendary Mike Hawthorn, had been held up at the Rouen Grand Prix campaigning a works 625F1 single-seater. Hawthorn, although tired from his outing at Rouen, performed admirably in the car and finished fourth in both the first and second heat. Following the race, the Vignale spider underwent some remodeling, believed to be the work of none other than Scaglietti. The radiator grille was significantly reduced, a modification that the car’s unmistakable front end retains to this day. In its new guise, the car was entered in the Coppa d’Oro delle Dolomiti, entrusted this time to Umberto Maglioli, a participant in 10 Formula One World Championship Grand Prix and winner of the grueling Carrera Panamericana in 1954. Enzo called Marzotto’s bluff and stood his ground, knowing that no driver could ever really give up a victory out of sheer stubbornness. Marzotto took the victory in the 250MM Vignale spider, Piero Taruffi came in second in his Lancia D20 and Maglioli was third. Following its Italian racing career, the car passed through 5 South American owners in Brazil and Argentina, where it competed in famously tricky races such as the 1000kms de Buenos Aires (five times) and the 500 Miles of Argentina. In the mid 1960s, the car exchanged in part for a Ferrari 250GT and sent to Italy where it remained, unloved, until 1974 when it was discovered by Franco Lombardi in a scrapyard in Naples. The car was sent to Modena by its new owner and underwent a complete restoration in preparation for the Mille Miglia, a race that the car successfully entered four times in 1984, 1986, 1989 and 1990. In 2006, it was raced by its current owner at the legendary Monaco Historic Grand Prix having been once again restored, this time by Carrozzeria Nova Rinascente near Padova.